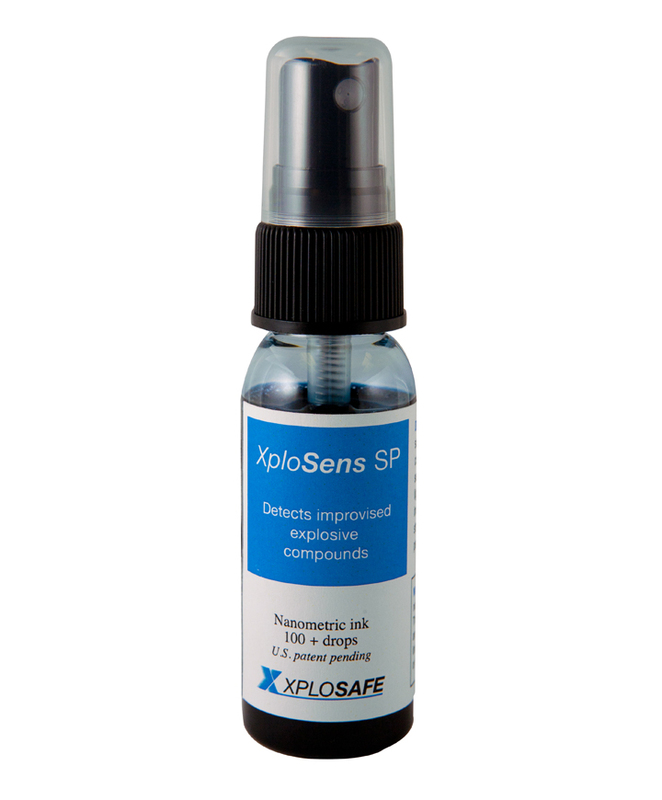 XploSens SP — Nanometric Ink spray to safely and rapidly detect chlorate and Sprengel based explosives. Materials that are produced using nitric acid (for example, urea nitrate) may contain trace amounts of the acid and can discolor the reagent. The hypochlorite ion in bleach and percarbonate in color safe bleach give a color change. Basic compounds (for example, baking soda) can also discolor the reagent. Spray ink on the suspected material. A rapid color change (within seconds) from a dark blue to a light color, typically yellow indicates the presence of a strong oxidizer such as peroxides, chlorates, bromates and sprengel explosives.